Based on the same autobiographical novel by Earl Hamner, Jr. that inspired classic television series The Waltons, Spencer’s Mountain is the story of a simple, loving family man that lead Henry Fonda thought was pure "cornpone." Based on the same autobiographical novel by Earl Hamner, Jr. that inspired classic television series The Waltons, Spencer’s Mountain is the story of a simple, loving family man Clay Spencer (Henry Fonda) and his dealings with his family and neighbors in the Grand Tetons of Wyoming. 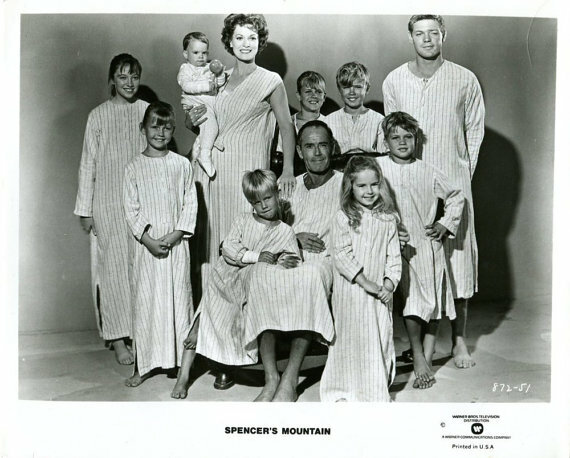 Spencer and his adoring wife Olivia (Maureen O’Hara) try to raise their nine children with virtue and honor. When his oldest son Clayboy (James MacArthur) graduates top of his high school class and finds himself an opportunity to go to college, Clay puts everything on the line to make his son’s dream a reality, despite the family’s meager earnings and his own misgivings. While the film mostly focuses on Clay and the family’s efforts to get Clayboy into university, it includes many subplots. Memorable ones include Clay’s constant, near-obsessive efforts in trying to build a new family dream home, as well as one mildly amusing story involving Clay accidentally getting the new minister drunk and eventually having to help save the man’s tarnished status. In fact, a big portion of the film is Clay simply helping people. While he may seem a bit gruff on the outside, he’s actually a standup gentleman willing to put his reputation on the line to help someone out of a bind. 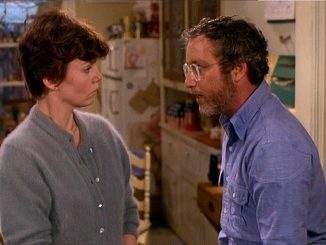 Fonda gives it his all as the family patriarch and much of the film’s heart comes from him and his sincerity in the role. 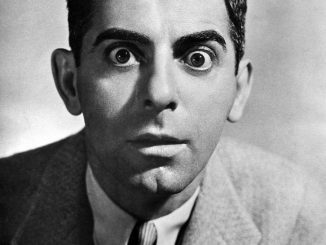 There are moments of comedy and drama, where he must swing from being sensitive and slightly goofy at one moment, to suddenly stern and intense at another. 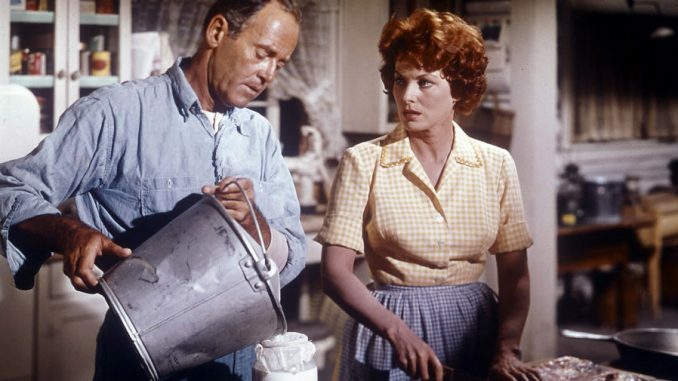 He does all of this marvelously – but what else might one expect from Henry Fonda? The man is a legend, and films like this show there is good reason as to why. 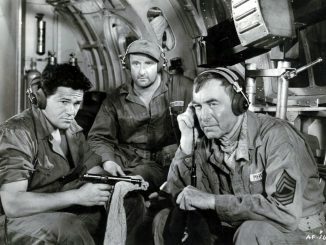 Considering what an amazing performance he gives here, it’s hard to imagine there was quite a bit of behind-the-scenes drama involving the production, leaving Fonda quite bitter. Fonda’s new talent agency (MCA) insisted he take the role of Clay, which he did, despite referring to the script as “old-fashioned corn.” In the meantime, MCA went behind his back and turned down a role in a play he later found he would have much rather taken: that of George in the now-classic Who’s Afraid of Virginia Woolf?, which Edward Albee wrote with Fonda in mind. Despite these circumstances, Fonda was ever the professional and still left viewers with a solid performance. Even though Fonda is able to elevate the content, it very often feels like the cinematic version of Ambien. The music and the scenery are so relaxing, it would be easy to drift off to sleep. Still, it has a sweet message regarding family values, the importance of an education and hard work, and growing up and finding your way. With the way of the world has changed since its release, the films sticky sentimentality may not play well with viewers today, but it’s still refreshing to watch something so purely wholesome. Released through the Warner Archive Collection, the print is excellent. The Grand Teton scenery is lush and beautiful, and the sound is crisp and clear. Special features include a period documentary, interviews with Fonda, and the original theatrical trailer.